This article caught my eye. There are reports of a three-foot tall grey monkey running loose near the small community of Meadowood, British Columbia. There have been several witnesses, and police have been called. Three feet tall? That might not be a monkey... That just might be a juvenile sasquatch running around. If you are in the area, please keep a camera and casting material handy. 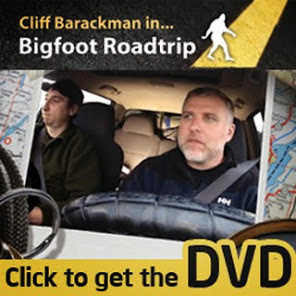 Also, if any of you hear about more reports of this "monkey" from that area, please write to me at NorthAmericanBigfoot@gmail.com and let me know. Police are puzzled by reports of a 'vicious' monkey running loose on Vancouver Island. The Parksville Qualicum Beach News reports that Meadowood residents and a conservation officer are trying to track down a grey, three-foot-high monkeyrunning wild in the small community about 170 kilometres north of Victoria. A Facebook post by the Meadowood Storein Dashwood B.C. appeared to confirm the sighting. "Yes folks you have heard right. There is a monkey running around Meadowood," it says. One resident told the Parksville Qualicum Beach News he was approached by a conservation officer and asked if he owned a monkey. But the area fire chief didn't know anything about it, telling the newspaper that their call was the first he'd heard of it. Cpl. Jesse Foreman with the Oceanside RCMP confirmed that police received a call about a monkey but found nothing. Given that most juveniles I've heard about, don't leave their parent's side, I'm surprised they're unsupervised. That doesn't bode well for the parent. Hmm...doesnt sound like normal Sasquatch behavior, even for a child. I think you're right Sharon. A baby sasquatch without mom or dad doesn't have a chance out there. It's probably a monkey. At least I hope so. Its chances are better.